← Hmmm… Can I Make Money Growing Plants? 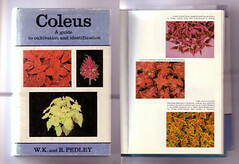 This entry was posted in Uncategorized and tagged books, coleus. Bookmark the permalink.